An all-important lesson that we ever need to hear. "It is interesting to see how heresies function and how the devil wins out. Let us say that the complete body of Christian teaching consists of points 1-100. Now, then, we must realize that this Christian teaching is not just dogmatic but meets the needs of man as God has made him and as man now is since the Fall. So, in order for the whole man to find fulfillment, he must have teaching from points 1-100. If you study church history, I think you will find that heresies arise like this: the church begins to fail to preach, or preaches very weakly, say, points 40-50. Of course, we live in a fallen world and none of us hold our Christianity in a perfectly balanced form, but we must help each other to try to do so. Let us say, therefore, that points 40-50 are unstressed. Two things follow. First, the situation is unbiblical. True Christianity is a balanced whole. Second, Satan takes points 40-50 out of the total Christian framework and encourages someone to over-emphasize them. And this becomes heresy. In other words, points 40-50, instead of being kept in line and in relationship to the rest of Christian doctrine, are moved out and away from the whole system. Being out of place, they somehow become inverted or reversed. But why does Satan win? He wins because there is a longing and a need in the human heart and mind; points 40-50 are needed because the whole of Christian teaching is needed, not only to give one the right Christian system, but to meet the needs of total man as he is in the fallen world. Satan wins because, when people recognize the weakness and the lack of points 40-50 and suddenly see someone overstressing them, they are caught in a net. One group is stressing points 40-50, but in an over-emphasized way, out of relationship to the whole of Christian doctrine. Another group, on the other hand, tends to see this over-emphasis on points 40-50 as a heresy and so they retreat in the opposite direction. They preach points 40-50 even less than they did before in order to be safe, in order to be seen clearly as not being a part of a heresy or wrong teaching. Satan fishes equally on both sides and he wins on both sides. The proper Christian response to such wrong teaching is not to avoid the doctrine but to see it in the proper Christian framework. The real Christian within the form of Scripture and under the leadership of the Holy Spirit has to restore the proper balance, even if it would at first seem to bring the church closer to heresy. When a group of people begin to over-emphasize the work of the Holy Spirit at the expense of the full content of Scripture or to under-emphasize the status of the intellect or cultural responsibility, the danger is to talk less and less about the Holy Spirit for fear someone will confuse us with this other group. Instead, a Christian must have the courage to say that we have not sufficiently stressed points 40-50 (whatever those points may be) and to begin to stress them in their proper relationship to the whole of Scripture." 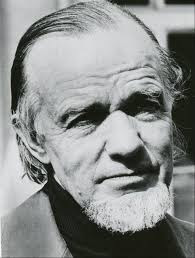 -- Francis Schaeffer, The New Super-Spirituality (London: Hodder and Stoughton, 1973), pp. 41-43.